A card game about flawed surveillance, impossible decisions, and the people caught in between, for 3–5 players. 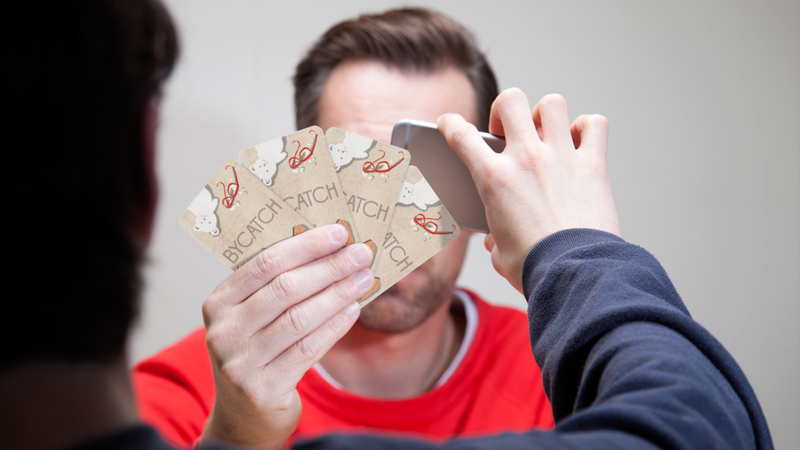 Bycatch is now available for €12 plus shipping and tax. We accept PayPal or Stripe and offer international shipping. Supply is limited, so order your copy now! Simple to learn and quick to play, Bycatch invites players from across a wide range of game-playing backgrounds to contemplate the dilemmas of remote warfare. An inventive surveillance mechanism employs your phone's camera to let you experience firsthand the shortcomings of aerial spying. Appealing artwork helps you empathize with your citizens and the horrors of drone strikes and collateral damage. Our artist statement Newspapers, Rituals and Games captures the background and essence of Bycatch. 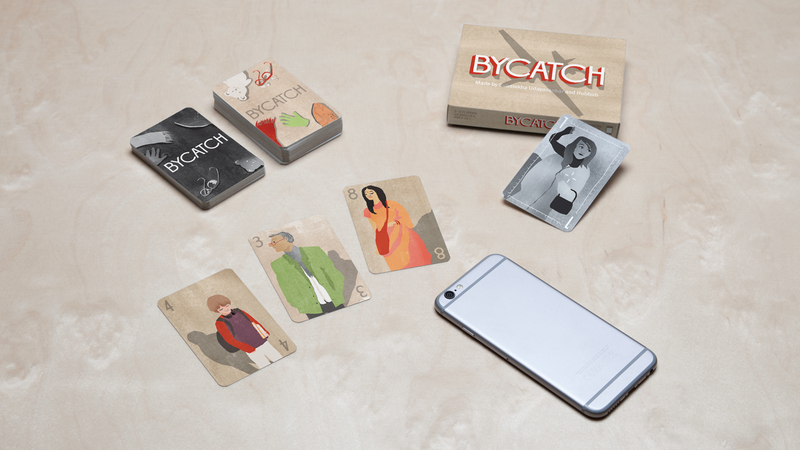 In Bycatch, each player controls a nation on the hunt for suspected terrorists. The players try to locate suspects hiding abroad using drone surveillance, and eliminate them using drone strikes. Meanwhile, they must shelter their citizens from the attacks of their opponents. Who will gather the most accurate intelligence and strike with the least collateral damage? Made by Subalekha Udayasankar and Hubbub. Original idea by Subalekha Udayasankar. Game design by Subalekha Udayasankar, Alper Çugun, and Kars Alfrink. Artwork by Agnes Loonstra. Graphic design by Pony Design Club. Bycatch is © 2014 Paper & Equator and Hubbub. Bycatch is a nonprofit initiative.